We may have heard it said, in that familiar hushed and somber tone, something along the lines of, “They’re having palliative care now.” It’s almost as if the meaning of those words is so universally understood they need no further explanation. Most people simply assume it means the person is now dying. Yet, when a health professional suggests palliative care might be a useful addition to a patient’s care, they most likely mean something different. So what does the patient actually take away from the suggestion? We asked this question of people being treated for cancer in hospital, as well as their families. We wanted to explore their initial perceptions of palliative care when this term was first raised with them in a clinical setting. We found people held narrow, often inaccurate and outdated understandings of palliative care. Below are some of the common beliefs about it, and what the research actually says. From its inception, palliative care has definitely always involved nurses. But by today’s standards, there is much more to it than, for example, a nurse assisting a patient with showering. Palliative care is delivered by a multidisciplinary team of experts, such as social workers, counselors, nurses, and volunteers, who are trained to respond to the needs of those with serious illness. Palliative care is often called on to provide optimal pain relief. But, just as frequently, palliative care is there to help manage symptoms other than pain that result from a serious illness or its treatment. 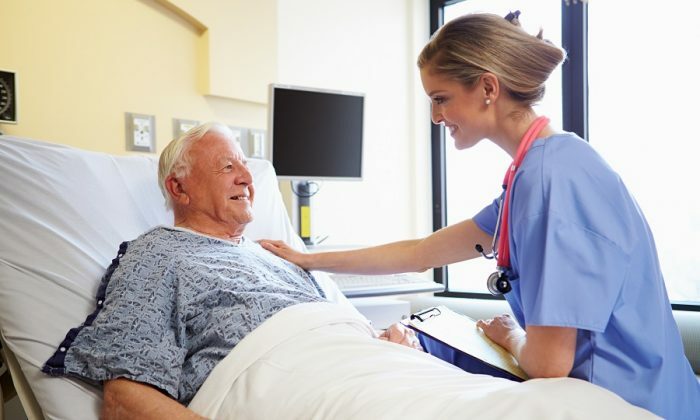 For example, a palliative care specialist has particular experience with medications and strategies that may help with problems such as nausea, breathlessness, or constipation—which, left unattended, may reduce a person’s quality of life. Palliative care does provide care for those at the end of life who may prefer to receive care or have needs best attended to in a hospital or at a hospice. However, it is not just about end-of-life care. Palliative care is available at any stage of serious illness. It can be helpful, and is recommended early in an illness, to work alongside other medical teams to diagnose and treat the cause of symptoms, manage medications, help with communication or decision-making about treatment options, or provide family support. Palliative care does provide support to people in the hospital, but just as frequently palliative care services are available to people in their own homes. There are now over 10 high-quality, randomized clinical (human) trials, conducted internationally, that demonstrate the benefits of accessing palliative care if faced with serious illness. These studies, mostly conducted with people recently diagnosed with a serious form of cancer, compare the outcomes of people randomly allocated to receive either just best-practice care or best-practice care with palliative care. Collectively, this research shows that people with a serious case of cancer who access palliative care soon after their diagnosis, alongside their recommended cancer treatments, have better outcomes. They report feeling better, with fewer symptoms associated with cancer and its treatment, as well as improved mood and better quality of life. There is also growing evidence to show the people receiving palliative care live longer. So next time we hear that a friend is receiving palliative care, we should also think of the possibilities and accomplishments they may achieve, and high-quality care they may receive. Anna Collins is a research fellow in the department of medicine at the University of Melbourne in Australia. This article was originally published on The Conversation.